It may seem like Valentine's Day is far off, but it's less than a month away. Galentine's Day is even closer. In case you're unfamiliar with the nonofficial holiday (thank you Leslie Knope), it's celebrated Feb. 13 and is a day to celebrate your besties. 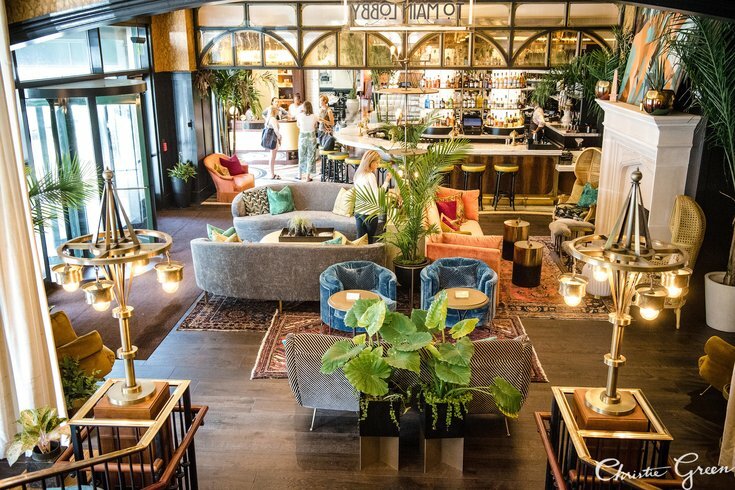 This Galentine's Day, Autograph Brasserie in Wayne and Louie Louie in University City, both part of the Fearless Restaurants group, are throwing events with cocktails, shopping and giveaways. Kellie Hemmerly, the woman behind the popular Suburban Soapbox blog, will host the night at Autograph, and fashion blogger Dani Maiale from Philadelphia will be hosting Louie Louie's event. If you want to attend either party, secure your spot early as space is limited for both. Tickets are $10 and include one signature cocktail, a gift bag and a raffle ticket to enter a drawing that evening. Those who wear Valentine's Day-inspired attire will also receive a second raffle ticket. Get your ticket for Autograph's event here, and Louie Louie's event here. Both start at 7 p.m.
Below are the businesses that will be at each Galentine's Day celebration, such as Kendra Scott, Bumble, Laura Mercier, Orangetheory Fitness and more.